An operation is often unavoidable after knee ligament injuries, with the anterior cruciate ligaments being affected most often. 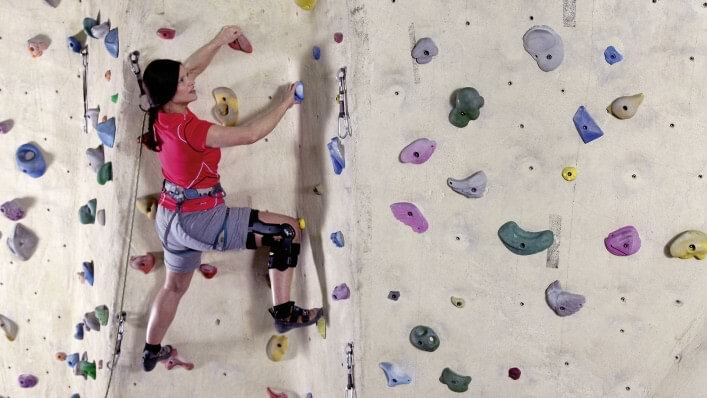 After an operation or also in conservative therapy without surgery, the Xeleton rigid frame orthosis stabilises the knee during the healing process and prevents undesirable movements. It also permits a controlled transition to full weight bearing. 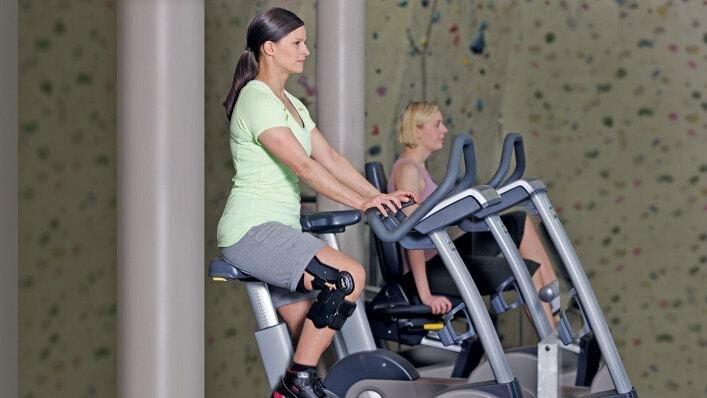 Early mobilisation is the best way to ensure that full weight can quickly be placed on the knee. 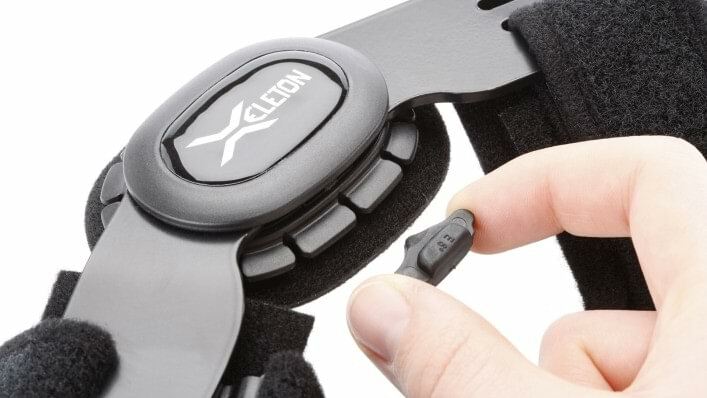 The Xeleton is a highly robust rigid-frame orthosis which your orthopaedic technician can adapt your individual requirements in a few simple steps. Its entire body is made of aluminium. As a result, you can use it for both everyday activities and sports – naturally, only after consulting your doctor. 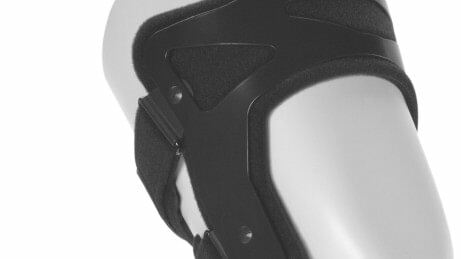 The entire orthosis frame is made of a high-strength aluminium alloy, making the Xeleton especially robust and durable. It is able to withstand even high loads. The calf strap can be moved independently of the shin strap. This provides additional support and is especially patient-friendly, since it can be positioned for an individual fit. 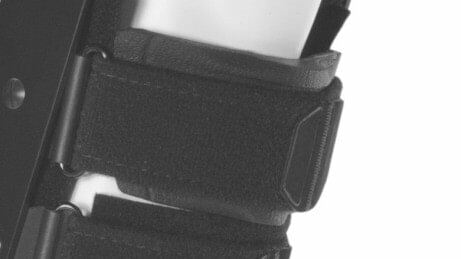 The straps of the Xeleton are numbered in the sequence they have to be closed, making it easy to put on and take off the orthosis. 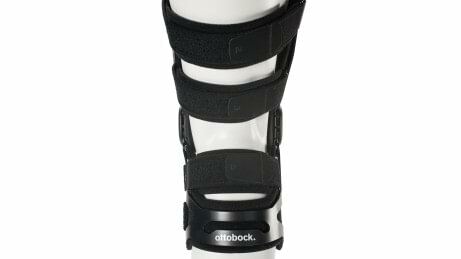 The anatomically shaped tibia pad prevents pressure points on the sensitive shin and, at the same time, unwanted rotation movements (torsion). After an operation, the transplant is not yet capable of bearing as much weight. 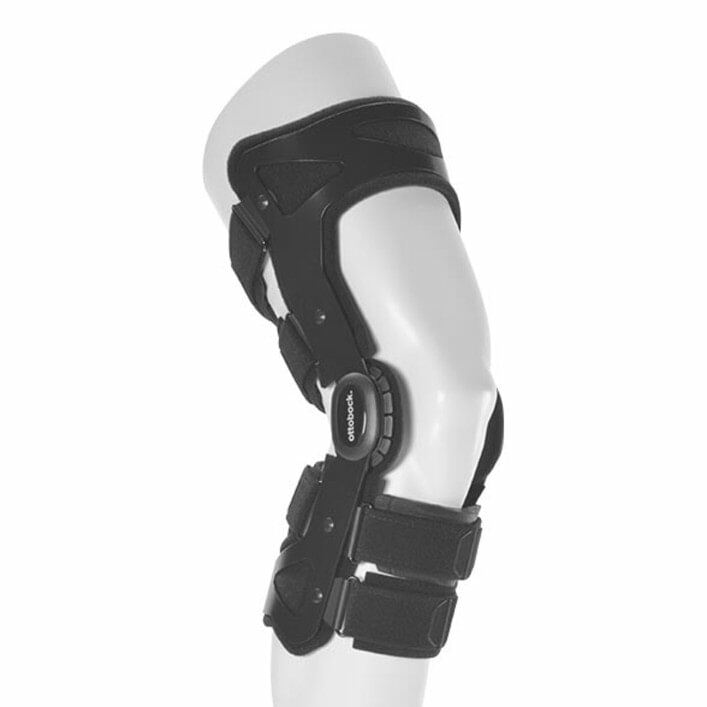 However, basic research shows that it can be protected by knee orthoses such as the Xeleton during this period. Your doctor or orthopaedic technician can limit the range of motion in just a few steps, and then gradually increase it. The knee width is individually adjustable as well, for example to adapt the orthosis to the swelling of the knee. Are you a very active person with the goal of returning to your everyday activities and work as quickly as possible? Does this also include sports? The Xeleton is ideal for this – after consulting your doctor of course. Thanks to the high-strength aluminium alloy frame and the robust functional elements, it stands up to high loads and keeps you safe. It is so sturdy that it can even be used for higher-stress sports such as baseball. The sooner you get moving again – in consultation with your doctor – the faster you can bear weight on your knee. The Xeleton provides you with the required safety and alleviates any fear of incorrect movements. This allows you to regain confidence in your knee. The Xeleton is lightweight and, thanks to the slim design that fits close to the body, practically invisible under clothing. It adapts well to your body thanks to the close-fitting frame design. A standard and a long version are available for optimum adaptation to your leg. 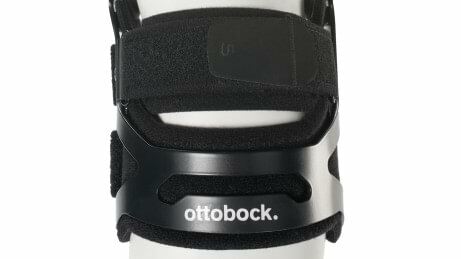 Putting on and taking off the orthosis is simple thanks to practical aids: Slide into the orthosis from above and then fasten it in a few steps. For your orientation, the straps are numbered in the sequence you have to fasten them. When you do not put the usual load on the knee after an injury or operation, you can lose muscle strength. Instabilities can lead to difficulties keeping your balance. A targeted exercise programme supports the fitting with the Xeleton, purposefully helping to rebuild your musculature. You also practice your balance. The exercises which start in the first week and are divided into three phases can be performed by you daily at home. However, it is important for you to talk to your doctor or therapist, and to clarify whether they are suitable for you before you start the exercises.